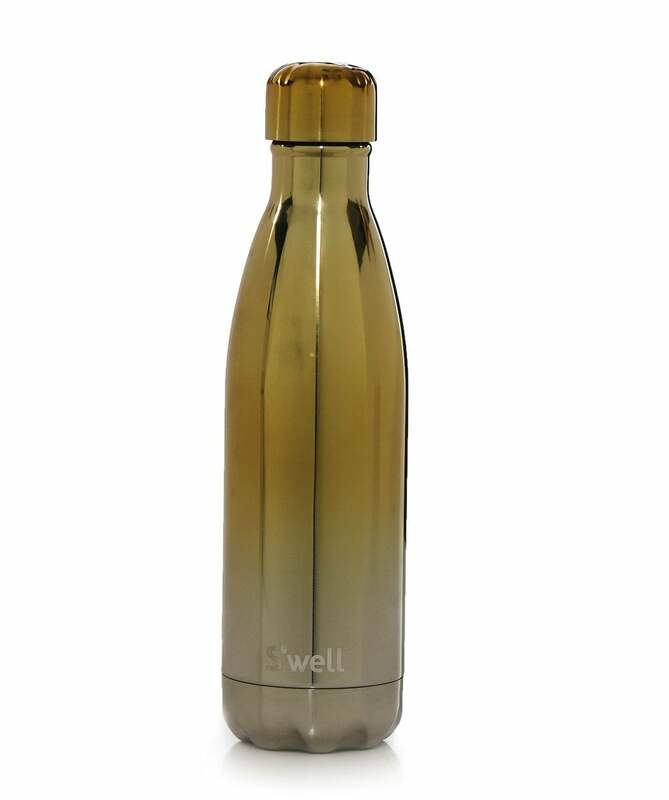 Update your daily accessories with the S'well 17oz Yellow Gold ombre water bottle. Crafted from stainless steel in a triple walled construction, ensuring your drinks stay cold for twenty four hours and hot for twelve hours. Featuring a vacuum seal, screw top and an on-trend metallic ombre design, this thermos bottle will keep your hydrated in style.